Two events into the 2013 season and Phil Mickleson hadn't finished inside the top-30. The longtime #2 player in the world, was sitting 21 places behind Rory McIlroy in the World Rankings, was one week short of a year without a win and headed to Arizona for the Waste Management Phoenix Open. Known as being one of the most wild events on Tour, Phil made a wild decision. He changed drivers. Having used the Callaway RAZR Hawk Tour driver for some time, he felt it was time to switch to the new Callaway RAZR Fit Xtreme. The second generation RAZR Fit driver is the longest fully adjustable driver Callaway has ever tested. A new face design, the lightest crown in golf, new custom colour options and a stack of adjustability sets the Xtreme apart from his predecessor. 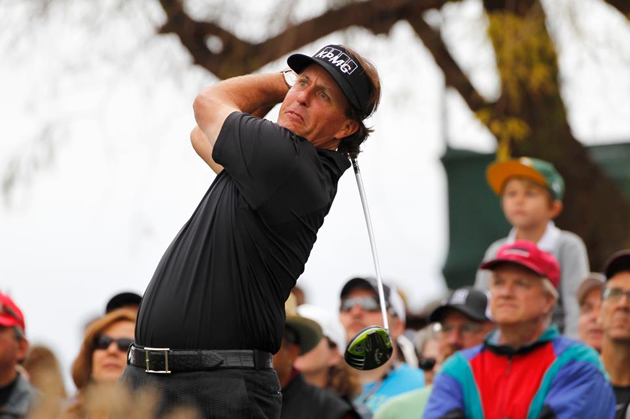 With the new driver in the bag, Phil went wire-to-wire, winning the Phoenix Open with rounds of 60, 65, 64 and 67. His 28-under total was the lowest score in the event's history and gave him a four shot victory, his third win at the Phoenix Open. The win also meant Phil has now won at least one event in each of the last ten seasons, another record. When asked about his driver change, Phil said "This driver spins so low that I can have more loft on the club, making it easier to hit." "This has got to be good for every player I would think, but it sure as heck is good for me. And by having it be a low spin driver with enough loft, and because it's that RAZR Fit Xtreme where you can fit it, I was able to get it dialed in to where it goes straight. But I'm able to make the same golf swing as my irons so you'll see me extend down the target line, you won't see this kind of tilt because it's not enough loft to get up and it's not low enough spin to not float, and it has been‑‑ it really could be a revolutionary club for me." For the week, Phil averaged 298.5 yards off the tee, more than 7 yards more than the field average, including one drive of 358 yards. So there you have it, with the new RAZR Fir Xtreme driver in play, Phil banked $1,116,000 Sunday. I wonder if he is still concerned about paying his taxes? For all the latest Callaway Tour news and equipment, check out our official Callaway Golf Zone.